When you are faced with criminal charges or an arrest, it’s only natural to feel scared and alone. If you have been arrested by the police or charged with a criminal offense, let us use our wealth of experience handling criminal cases, help calm your fear and give you options. 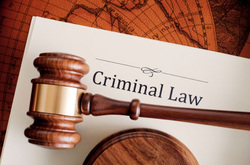 Our criminal practice is focused on defending clients charged with offenses under the Criminal Code and Control Drug and Substance Act. We are passionate litigators who take all necessary steps to ensure you achieve the best results. We fight for our clients to ensure they receive fair trials. These include but not limited to, bringing an application under the Canadian Charter of Rights and Freedom to challenge and exclude evidence that has been obtained illegally and presenting strong, robust and vigorous defense in court. We recognize that a criminal conviction is debilitating and has far reaching ramifications in regard to employment, community integration, travel outside of Canada and Immigration Status. As your lawyers, we will help you understand your rights and review your legal options so that you can make informed decision(s) about how to proceed. We will thoroughly investigate your case to find any evidence and witnesses available and vigorously defend your case in court. In a number of cases that we have handled in the past, thorough investigations into telephone records and messages have resulted in either acquittal of our clients or the Crown (Prosecutor) seeing that their witnesses were not credible leading to withdrawal of charges. Also, we have won many cases that went to trial through well structured and rigorous cross examinations that later exposed the lack of candour of Crown witnesses and the frailty of the Crown’s cases, leading to acquittals or dismissal of charges. Let us use our knowledge, experience and passion for advocacy to win your cases for you. Our Criminal Defense practice is diverse. We represent individuals and private businesses, their directors and officers, members of the financial industry, and non-profit corporations in the face of allegations. In each case, our primary goal is to resolve any allegations before any hearings by demonstrating to the relevant agencies and prosecutors that criminal charges are unnecessary and unwarranted. Where such resolution is not possible, we vigorously defend our clients at all levels of both provincial as well as federal courts. Additionally, we represent our clients in any civil proceedings related to the criminal charges.